Theodore Bernard "Big Klu" Kluszewski (September 10, 1924 – March 29, 1988) was an American professional baseball player. In Major League Baseball (MLB), he spent most of his 15-year career playing for the Cincinnati Reds as a first baseman. Kluszewski was a National League (NL) All-Star for four seasons. During his major league career, he had a batting average over .290 three-times and over .300 seven-times. In 1954, he had a career high .326 batting average and was the NL Most Valuable Player (MVP) runner-up; he led the NL in home runs (49), RBI (141), and fielding average (.996). In 1959, Kluszewski was traded late in the season to the Chicago White Sox from the Pittsburgh Pirates. He batted .297 in 31 games for Chicago without committing an error, helping the "Go Go" White Sox of the 1950s clinch the American League pennant. In 1962, he was inducted into the Cincinnati Reds Hall of Fame. Ted Kluszewski was born in Argo, Illinois a few miles west of Chicago and was of Polish descent. He played football and graduated from Argo Community High School, and was discovered at Indiana University in Bloomington, Indiana where he played football (team was 9-0-1) as well as baseball (he hit .443 in 1945). Due to wartime travel restrictions, the Cincinnati Reds, who normally held spring training in Tampa, Florida, were forced to train at Indiana University from 1943 to 1945. Kluszewski, then a student at the university, drew the attention of Reds' groundskeeper Matty Schwab. Schwab saw Kluszewski hitting balls over an embankment near the baseball diamond that none of the Reds players was able to get near. Cincinnati Reds scouts were sufficiently impressed, but Kluszewski, who was also a standout tight end on the Hoosier football squad, did not immediately sign, because he did not want to endanger his collegiate football eligibility. Instead, he signed after graduating in 1946. 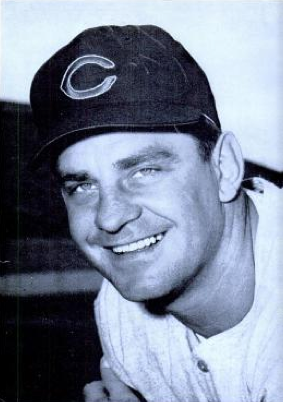 After batting .325 and .377 in two minor league seasons, he was called up to Cincinnati in 1947 and became the Reds' starting first baseman at the end of 1948. Soon after the 6'-2" (1.89 m), 240-pound (108.8 kg) Ted Kluszewski joined the Reds in 1947, he cut off the sleeves of his uniform, much to the chagrin of the Reds front office, an action he took because the tight sleeves constricted his large biceps and shoulders and interfered with his swing. "They got pretty upset, but it was either that or change my swing — and I wasn't about to change my swing", said Kluszewski. Kluszewski became notorious for his strength; Hall of Fame manager Leo Durocher was asked to name five of the strongest players in baseball, he complied. When it was pointed out that he had left Ted Kluszewski off his list, Durocher said: "Kluszewski? I'm talking about human beings!" Kluszewski was named to the National League All-Star roster from 1953 through 1956, and was a career .298 hitter with 279 home runs and 1,028 RBI in 1,718 games. In ten of his fifteen major league seasons, Kluszewski walked (492) more often than he struck out (365). In 1955, he hit 47 homers while striking out only 40 times. No player since has hit 40 homers and struck out 40 or fewer times in the same season (Barry Bonds missed duplicating this feat by one strikeout in 2004). 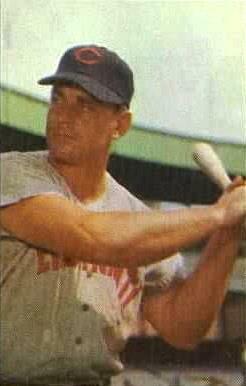 "Big Klu" enjoyed his most productive years from 1953 through 1956, with home run totals of 40, 49, 47 and 35 while driving in over 100 baserunners in each, including a league-leading 141 RBIs in 1954. He also hit .300 or better eight times. Kluszewski also led National League first basemen in fielding percentage five straight years (1951–1955), a major league record. When he left the Reds after the 1957 season, he was considered to have been the greatest left-handed hitter and one of the best fielding first baseman in club history. Kluszewski's injuries had began taking their toll; Kluszewski was limited to playing just four full seasons in his fifteen-year career and would eventually spend his last four major league seasons after he left the Reds as a part-time player. 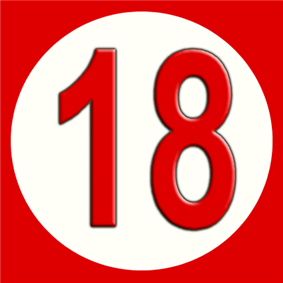 His Reds uniform number 18 was retired by the Red in 1998. He was traded to the Pittsburgh Pirates before the 1958 season. In 1958, he played in 100 games for the Pirates and hit .292 with 88 hits and 37 RBIs. In 1959, he played in 60 games for the Pirates before he was traded in August to the Chicago White Sox who were in a close pennant race. On August 25, 1959, his trade to the White Sox for two players gave manager Al Lopez's first place White Sox team the much needed additional hitting power to help the Sox win the American League Pennant. The White Sox faced the Los Angeles Dodgers in the World Series. In the series first game at Chicago's Comiskey Park, Kluszewski, who had grown up in the Chicago area, hit two home runs and drove in five in an 11–0 rout of the Dodgers. However, the Dodgers would win the next four out of five games to win the series with pitching that neutralized many of the Sox players. Kluszewski hit a high .391 with 3 HR and 10 RBI in the series. Automobile mogul Jim Moran offered a free car to any White Sox player who hit a home run in that World Series. As he recalled in an Oct. 21, 2005 interview with Mike Downey of the Chicago Tribune, Moran ended up giving Kluszewski three original 1960 Ford Falcons. During that '59 season, Sox owner Bill Veeck introduced, for the first time in the major leagues, a team uniform with the players' last name on the backs of their jerseys. During a road trip to New York, Ted Kluszewski became the first player to appear in a game with his name misspelled, with a backwards "z" and an "x" instead of the second "k". When Major League Baseball expanded in 1960, Kluszewski was left unprotected in the expansion draft and selected by the Los Angeles Angels. In 1961, Kluszewski played his final season hampered by back and leg problems. On April 11, the season's opening day and playing against the Baltimore Orioles at Memorial Stadium, he belted two home runs for the Angels off Milt Pappas as the Angels defeated the Orioles 7-2. He finished the season hitting .243 with 15 home runs and 39 RBIs in 107 games. After retiring as a player, Kluszewski was a hitting coach under Sparky Anderson with the Cincinnati Reds during their outstanding teams in the 1970s. In 1979, he became the Reds' minor league hitting instructor, a position he held until 1986, when he suffered a massive heart attack and underwent emergency bypass surgery. He retired afterward. Kluszewski died on March 29, 1988 in Cincinnati at age 63. Ted Kluszewski's number 18 was retired by the Cincinnati Reds in 1998. 1962: Ted Kluszewski is inducted into the Cincinnati Reds Hall of Fame and Museum. 1976: Esquire magazine article by sportswriter Harry Stein featured an "ALL Time All-Star Argument Starter" consisting of five ethnic baseball teams. Kluszweski was the first baseman on Stein's Polish team. 1981: "Ted Kluszewski" is in first line of the chorus to Terry Cashman's song, "Talkin' Baseball", a musical tribute to baseball. 1998: On July 18, Kluszewski's number 18 was retired by the Cincinnati Reds at a pregame ceremony at Cinergy Field. His widow, Elenor Guckel, threw out the ceremonial first pitch before the game between the San Diego Padres and the Cincinnati Reds. 2003: Great American Ball Park, the home of the Cincinnati Reds, opened on March 31. Before the inaugural game, the Reds dedicated a bronze statue of Kluszewski on the Crosley Terrace area outside the main gate. Statues of Crosley Field era stars Ernie Lombardi, Joe Nuxhall, and Frank Robinson were erected later. The statues were sculpted by Cincinnati artist Tom Tsuchiya. ^ "MLB's Misspelled Uniforms". sikids.com. Retrieved 28 June 2010.